EVENT ANNOUNCEMENT // Pie Party! our paleo Baba Ganoush recipe! Private Parties are super fun! WE LOVE BLACK HOPS BREWING! WE LOVE FORTITUDE BREWING CO! We hosted a lovely little picnic yesterday and made a video! What are you doing for the Fourth of July? Why not join us for a Clam Bake! Over 400 likes on facebook. How nice! OOOH GOLDTOAST HAS 300 LIKES ON FACEBOOK! WHERE ARE YOU LOCATED ON THE GOLD COAST? Happy First Birthday Pablo Pablo! We have been featured on Good Food Gold Coast! Friday, Lizzy’s dreams will come true. Winter & Pears, a perfect pair! 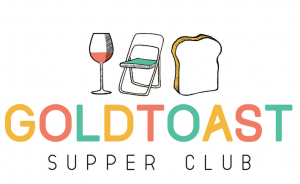 WHAT DOES A NIGHT WITH GOLDTOAST ENTAIL?